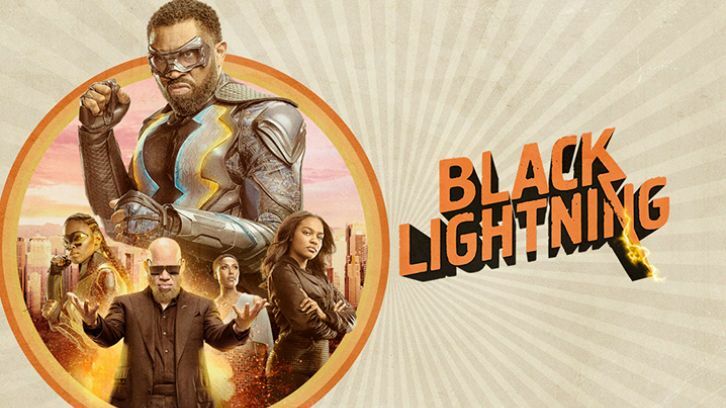 Not content with simply improving on aspects that made the first season worthwhile, Black Lightning season two actually achieves some well-conceptualized innovations. Segmenting the entire season into small, progressive arcs called “Books”, further broken down per episode as “Chapters” was a brilliant move, which gives the series a unique format from its myriad of generic contemporaries. Black Lightning season two is also artistically avant-garde in a few ways, without coming off as pretentious. The inclusion of soundtracks during some significant moments was a welcomed addition that adds to the atmosphere and feel of each scene. The environment also played a role, at least initially, with subtle graffiti and quotations strewn about the background for the astute viewer to spot. While other identical shows with multiple heroes all seem to just be slight deviations of the same cloth, season two, with the full inclusion of Thunder, and the introduction of Lightning, offer variations on the concept of a hero which is refreshing. While season one’s overarching focus was on the ingrained mechanisms of crime and violence within a predominantly African-American community, built on a legacy of Black exploitation by the US government, season two became one about self-reliance and self-sufficiency of said communities; confronting the shackles of institutionalized racism and oppressive prejudice still present today. By season’s end, this strive for independence and self-determination comes at a heavy cost, as the moral leaning of Freeland (the heart, mind and soul of its citizens), and some of our heroes and villains undergo various crucibles. Sadly, the “pod kids” and the “green light babies” sub-plots left over from season one remain – for the most part – unresolved and unchanged, as they continue to be the big McGuffins of the series. The Pierce family go through some rapid changes. 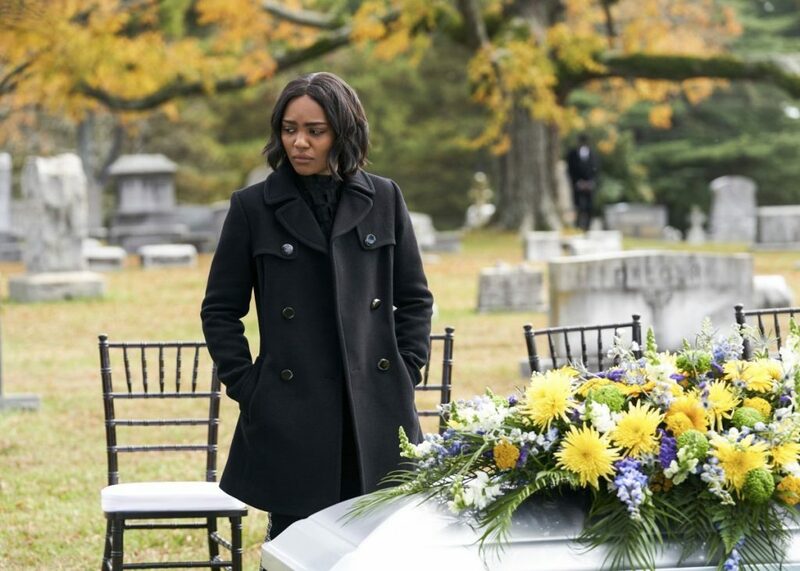 From the start, there is the nascent dynamic father/daughter duo of Black Lightning/Jefferson Pierce (Cress Williams) and Thunder/Anissa Pierce (Nafessa Williams); the career highs and lows of Dr Lynn Stewart (Christine Adams) and the emotional rollercoaster that was Jennifer Pierce (China Anne McClain) becomes more focused and prominent. It’s kind of awkward that Black Lightning himself has been minimized in a sense to give more – well-deserved – priority to his two super-powered daughters. Nevertheless, his demotion at work from Garfield High’s principal segways into a bit of an identity crisis for him and his alter ego. Anissa – who steals much of the first half – and her Thunder persona, and later her other alter ego of “Black Bird”, showcases the next generation of super heroics, social crusading and vigilantism. Anissa is the Robin Hood of the 21st century, which conflicts with Jefferson’s more traditional, old-fashion idealistic viewpoint of heroics and being a vigilante within the law rather than outside of it. Anissa’s myopic pragmatism and distrust in established, institutionalized authority is humbled by the consequences of her actions. While she eventually embraces her father’s sage advice and experience, she has not fully abandoned her more independent inclinations and façade of “Black Bird” – making her far more than a run-of-the-mill “sidekick”, but a superhero in her own right. Meanwhile, Dr. Stewart and her noble endeavors to save the “pod kids” giving her purpose, but that is taken away from her at nearly every turn. Adams’ character development can easily be overlooked, but she is still able to convey a strong, intelligent and resourceful woman who is also the bedrock of her family showing some cracks. Her Sisyphean battles at work and her inability to relate to a family of super-powered individuals take a psychological toll. Fortunately, she is able to weather the storms that come, while being unafraid to show vulnerability and weakness. Now Jennifer steals the latter half, with her coming into her own and her emotional journey throughout season two. Her growth from the whiny, reluctant, and often petulant person she was, into a bold, confident and assertive young adult (in and out of costume) feels empowering if not inspirational. Though the loss she suffers does act as a catalyst to push her firmly on her path to become Lightning, the conflict between her and her father (like Jefferson and Anissa) offers a unique perspective as she dabbles with the philosophies of the anti-hero. China’s character is definitely one of the two who grew the most since season one. I would be remised if I didn’t bring up the refurbishment of Khalil Payne/Painkiller (Jordan Calloway); a character who when initially introduced was a bland, un-relatable arch-henchman of Tobias Whale. But thanks to Jordan, his character evolved into one that took me by surprise; much in the same way William Catlett’s performance as Lala/Tattooed Man really came into his own by the end of season one – tragically with the same outcome. The various writers also deserve the credit for their own redemption of the character. Season two also came with a slew of new characters. We are introduced to the assassin and former lover of Tobias, Cutter (Kearran Giovanne) – Syonide’s more mouthy replacement; creepy ASA agent and supervisor Percy Odell (Bill Duke); Jennifer’s meta-human psychiatrist Perenna (Erika Alexander); stereotypical mad scientist Dr Helga Jace (Jennifer Ryer); new Garfield High principal Michael Lowry (P J Byrne); and nerdy sycophant Todd Green (R J Cyler) to round out the tertiary cast. The big-bad elemental Masters of Disaster only make an appearance in the very last few episodes and are underutilized and easily forgettable. The inclusion of so many fresh characters came at the expense of screen time for Bill Henderson (Damon Gupton) and Peter Gambi (James Remar) – though, the latter fairs far better than the former. It makes me worry about the security of Damon’s character going forward. The red-herring of Grace Choi (Chantal Thuy) is a welcomed distraction and problematic love-interest for Anissa. But her impromptu exit only raises more questions for season three. 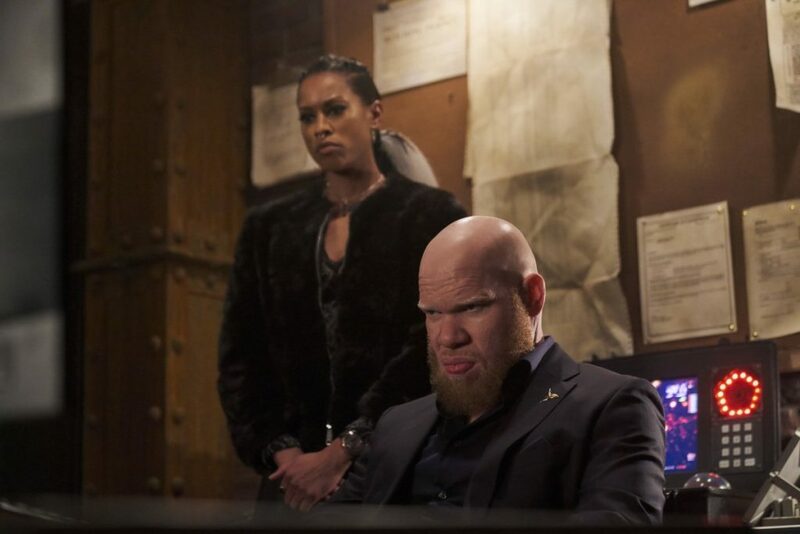 Resident arch-nemesis Tobias Whale (Marvin “Krondon” Jones III) oddly also seemed to be relegated to the background for most of the season, as the show struggled to position and execute his menacing scheme effortlessly throughout. Muddled by missteps, false-starts and dead ends, the threat of Whale was only speculative rather than concrete for a lot of season two until the Khalil snafu and Todd’s introduction in the second half. By the time the finale hit in “Book of the Apocalypse”, Whale’s endgame read more like a spur of the moment gambit, rather than something genuinely intentional that had been gestating since the show began. Overall, the brief detour in “Book of Blood” was season two’s lowest point that should be overlooked. Every other “Book” was fairly strong to brilliant, especially the emotional highlight that was “Book of Rebellion”. While the Pierces and other good guys all put in great performances, I wished the writers gave as much thought and dedication to its small host of villains, especially if they are going to be long-time cast. Almost all the “bad guys” – with one or two notable exceptions – come off as cartoonish caricatures that range from the dull to the annoying. Black Lightning season two plainly does things better, if not bigger. With an innovative aesthetic to compliment the better character developments, there lacked that critical sense of escalation from the previous season. And its focus on social issues still needs a bit more ironing out, but the series is on the right track. The last-minute resurrections of two characters left a bitter taste in my mouth which cheapened their harrowing deaths; but if they can brush up on their villains in season three and construct a much more credible threat, then count me invested in season three.